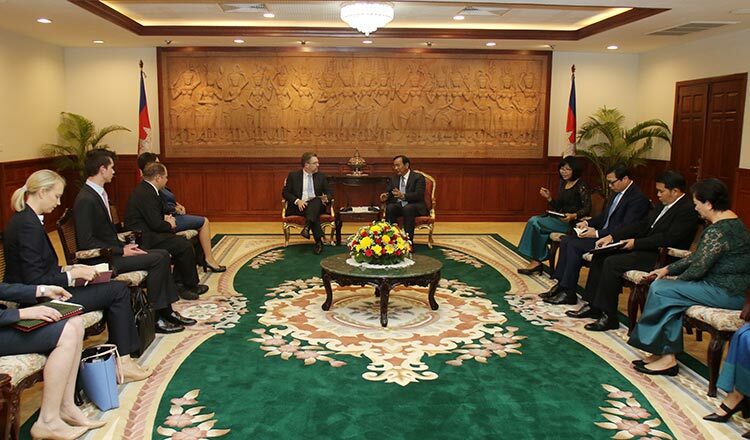 Foreign Minister Prak Sokhonn assured Australian Senator Scott Ryan during their weekend meeting that Cambodia will never allow the setting up of a foreign military base in the Kingdom, a ministry spokesman said. During their meeting on Saturday, Mr Ryan asked Mr Sokhonn about a report alleging that China was in the midst of constructing a naval base in Cambodia. Ministry spokesman Ket Sophann said after the meeting that Mr Ryan was told of a letter written by Prime Minister Hun Sen to United States Vice President Mike Pence reaffirming that the Kingdom’s constitution will not allow the presence of a foreign military force. 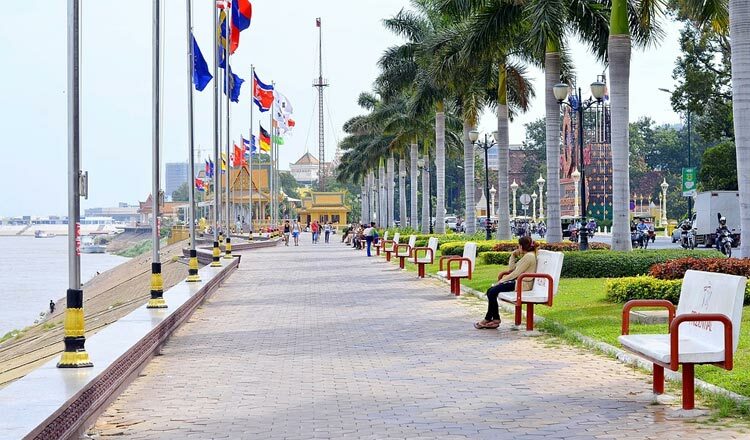 “Cambodia has complied with its constitution by not allowing foreign troops to be present on Cambodia’s territory, nor does it require the involvement of foreign troops to attack another country,” Mr Sophann said. A report by Asia Times last year alleged that China has been lobbying the government to use a port in Koh Kong province on the Gulf of Thailand as a naval base. The report said the site of the base would be within a 45,000 hectare economic land concession granted to China’s Union Development Group. “It will have medical treatment centres, condominiums, resorts and hotels, manufacturing facilities, a deep-water port and an international airport,” the report said. The report prompted a letter of inquiry by Mr Pence to Mr Hun Sen. Mr Hun Sen last year said he was disappointed by Mr Pence for the inquiry letter.